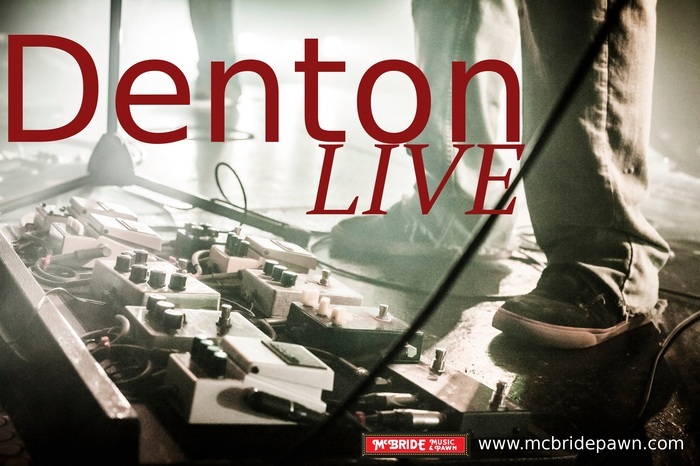 McBride Music & Pawn is a proud member of the Denton and area live music community. Whether participating as a sponsor for events on the square, or as a musician at one of the open stage concerts, we are out there enjoying and supporting the rich entertainment talent in North Texas. The Square in Denton boasts a vibrant music community. The ‘Twilight Tunes on the Square’ is offered on Thursday evenings in front of the Denton County Courthouse lawn on 110 W. Hickory Street from 6:30 p.m. to 8:00 p.m. Admission is free and it’s a great opportunity to enjoy quality live music and browse some of the downtown businesses and restaurants, and enjoy the vibe of “the square”. Grab a chair and some food to catch “The Bird Dogs” on June 4th or “The Raised Right Men” on June 11th. Click here for the full ‘Twilight Tunes” schedule for the summer of 2015. A great live band you won’t want to miss on May 30th at Dan’s Silverleaf in Denton. Tickets are available online. Hailey’s Club in Denton (122 W Mulberry Street) is hosting an event on May 30th featuring five bands. For more information visit the Hailey’s Club website. On Sunday, May 31st Dan’s Silverleaf in Denton hosts Christy Hays & Caliche. Tickets are $10 and doors open at 7:00 p.m. Ages 21 and up only. Do you have a local live music event? We’re happy to support Denton’s live entertainment community, so visit McBride Music & Pawn on the square and leave a flyer and event information. While you’re visiting check out some of our deals.